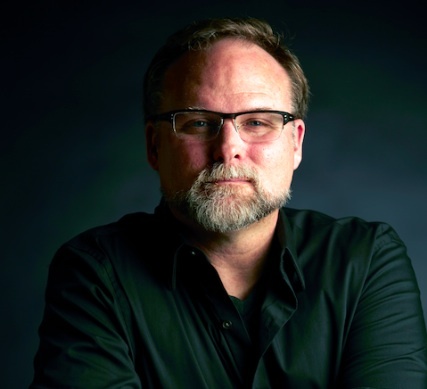 Composer and Kyma enthusiast, Scott L. Miller, has been awarded a Fulbright Scholar grant to lecture at the Academy of Music and Theatre in Estonia during the 2014-2015 academic year. Professor Miller will lecture on approaches to electroacoustic composition, with an emphasis on real-time electronics and improvisation with Kyma. Miller’s Every Problem is a Nail, for piano and electronics, premiers on June 7 at the New York City Electronic Music Festival (NYCEMF). The piece will be performed by pianist Keith Kirchoff (who commissioned the work), and was supported in part by the American Composers Forum 2013 McKnight Composer Fellowship Program. Also on the NYCEMF will be the NYC premier of Miller’s Contents May Differ, performed by bass clarinetist Pat O’Keefe on June 4. O’Keefe commissioned the piece and his recording of the work is to be released on Innova later this year. Both Every Problem is a Nail and Contents May Differ feature the Additive Synthesis Sound that Miller created especially for teaching his students. The world premiere of Miller’s Electro-organic Ecosystem for pipe organ and Kyma is set for 26 September 2014 as part of the Kyma International Sound Symposium (KISS2014) in Lübeck Germany 25-29 September.